Do Chinese Koreans (Chaoxianzu/Joseonjok) feel closer to Korea or China? Last time I was in China, my dad introduced me to several Korean-Chinese friends he had. Their views were generally this: culturally speaking, they identify as Koreans. However, from a nationality point of view, they see themselves as Chinese. They are proud of their Korean heritage (especially food, lol), but they have no interest in North or South Korea (as in the country). In fact, some of them even badmouth South Korea for not treating Korean Chinese immigrants well. I’m Chinese Korean and Choi Wonseok’s answer is really a curiosity for me. In terms of the nationality, yes, most of the Chinese Koreans, including myself, recognise the fact that we hold the PRC passport, and therefore we’re Chinese the same way Korean Americans are, in terms of the nationality, Americans. The views of Chinese Koreans, however, differ largely in terms of their historical, cultural, and even political, identities. For instance, many think that we’re Korean in terms of our cultural roots while some claim that Chinese Korean culture has been so embedded in the Chinese context over the decades that we’re a branch of Chinese cultural diversity. Political identity should be seen different from a legal status. While we hold the PRC passport and are legally seen as Chinese nationalities, our attitudes towards Korea and two Koreas vary a lot depending on each individual’s own experience. It’s true that many Chosunzok in South Korea refer to themselves as Chinese, but this is not due to their quite mysterious intimacy with China that comes from nowhere, but largely because of the fact that the South Koreans have never ceased to treat them with prejudice and discrimination, which pushes them off towards the Chinese side. One of the examples is shown in Choi Wonseok’s answer, which refers to the high crime rates of Chinese Koreans as justifying the stereotypes held by the South Koreans. The fact, however, is that Chosunzok only comes six or seventh in terms of overall crime rates and the crime rate per capita is significantly lower than Mongolians and Americans given the latter’s tiny population in South Korea. Here is a link that shows the prejudice. http://m.skyedaily.com/news_view…. 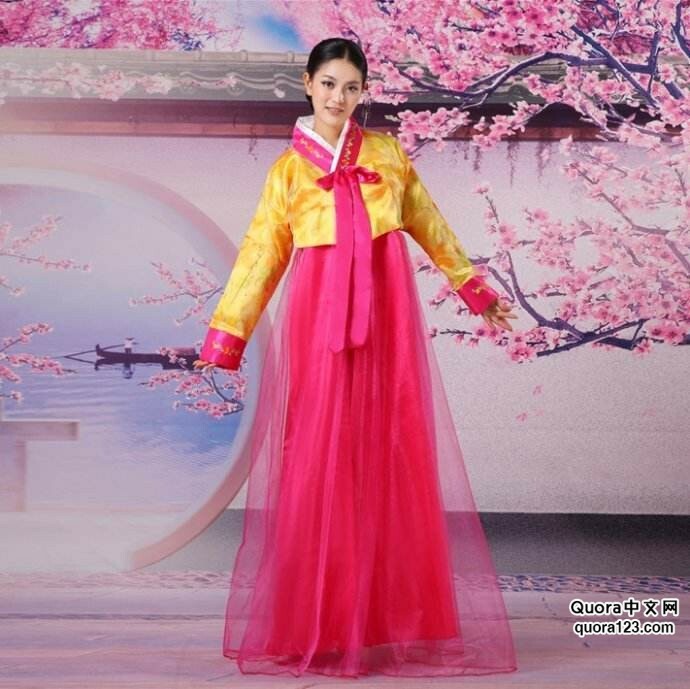 Some old generation Chosunzok identify themselves as Chosunsaram, the people of the Korean peninsula, and not as belonging into either the North or South. It should be recognised that many Chosunzok came to South Korea mainly looking for job opportunities to improve their lives. Ethnic minorities overall live in the periphery of China and are not well cared for by the central government. Many Chinese Koreans choose to come to South Korea where people are well-paid and send the money back to their family members in China. Most of the Chinese Koreans that you encounter in South Korea are economic migrants looking for a decent life. They often lack proper education and work very hard in manual labour industries that South Koreans see as dirty and better avoided. It’s no wonder that South Koreans tend to think that Chosunzok, as Choi Wonseok puts it, have “a large hand in providing this image of China as ‘rough’ or ‘uncultured’”. To the South Koreans Chosunzok appear to be ‘rough and uneducated’ because only the rough and uneducated choose to go to South Korea. What is less well-known is the fact that educated Chinese Koreans, which are no small proportion, proceed to do well in top universities in China, succeed in getting well-paid jobs in big cities such as Beijing and Shanghai and prosper in Chinese society. They have no reason to abandon all they achieved in China and adapt themselves to a new society where discrimination is rampant. Some of them, including myself, choose Japan, America or Europe for better education. Only those less competent go to South Korea for higher education because they can neither survive the Chinese educational system nor make their way forward to countries where the quality of higher education is better than in South Korea. In fact, the Chinese Koreans have the highest per capita rate of having college education amongst Chinese ethnic groups including the Han Chinese, and Chosunzok are reputed in China for great educational records. It should also be noted that other answers that just treat Chosunzok as Chinese are too simplistic. Some may have strong feelings of ties with China but many just do not. For most Chinese Koreans, the Chinese nationality is just a legal status and Korea is an ambiguous entity that often makes nostalgic appeals to historical and cultural heritage. Most of us are just too busy to think about grand historical or nationalistic rhetorics—we’re just common people busy making life better for our family and ourselves. I lived in South Korea and Northeast China for more than a decade and could speak both languages fairly fluently back then. I worked with and socialized with both South Koreans and Joseonjok in China. Korean-Chinese view themselves as Korean-Chinese with an emphasis on the latter, which is natural since they were born and raised in the PRC, and their parents and grandparents are/were Chinese citizens. The relationship between South Koreans and Korean-Chinese is mostly employer-employee or workplace superior-subordinate. Not only South Korean adults but their children, too, often spoke “banmal” or low informal Korean to Korean-Chinese adults working for them. South Koreans follow clear socioeconomic and workplace hierarchies, and their language use reflects this. Korean-Chinese speak Korean differently and behave like their fellow Chinese, so South Koreans regard them as Chinese people who speak passable Korean and not Koreans like themselves. Korean-Chinese view South Koreans as sometimes haughty and even prejudiced against Chinese, including Korean-Chinese because of the way some South Koreans treat them in the superior-subordinate relationship. One of my business assoicates who is in South Korea is a Chaoxianzu from Heilongjiang. Though he speaks korean very fluently, it is always very natural that he begins a conversation in Pu tong hua. He would always side with China on world issues. He sometimes feels sidelined and looked down upon by Koreans who knows that he is chaoxianzu. He feels insulted if you thinks he is Korean. He does not hide his Chinese nationailty to those who does not know it already even though he knows that it might not be so welcome. You decide for yourself what he thinks from my observation.